You would think that Snow In April would be enough to ruin an entire week, but really the truth is it was one of the best weeks of my Peace Corps service so far. On Monday I piled into the old van with a guy from my office and seven kids from six different villages. These are kids I’ve talked about before, kids who are brave enough to talk to their peers about HIV/AIDS. At the end of our intitial nine hour drive, we stayed with other Peace Corps volunteers down in Kapan. 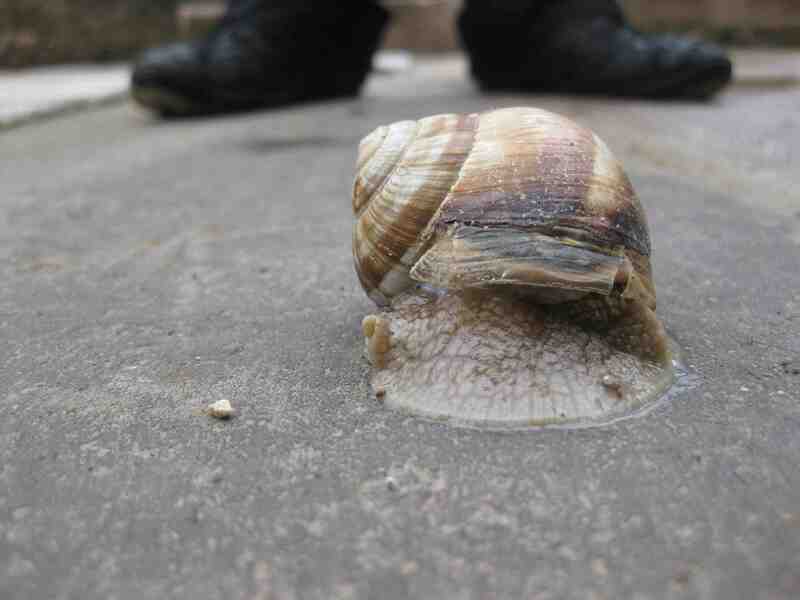 We did two HIV/AIDS forums thanks to those volunteers and saw Kapan sites which included, among other things, the biggest wild snail I’ve ever seen. In Goris, I stayed with half of the kids in a Peace Corps friend’s apartment while the other half stayed in a bed and breakfast. In that little apartment I taught the kids out to play Pondscum and Pirate Dice, both of which they loved. Pondscum in Armenian is “ganach jrimur”. I can’t count the times that was used OUTSIDE of the game. “Jrimur” was pretty much everyone’s nickname from then on, or if not that, then “Garejrimur” which roughly translates to mean “Beerscum”. Best part of the weekend: I taught them a “Texas Dance”. Remember back in second grade, down in Central Texas, when during one week the whole class would learn the Boot Scoot. Well, that line dance made it’s way to Armenia via my memory and the only country music I own, Dixie Chicks. I’m not sure I’ve ever listened to “Goodbye Earl” so many times in 24 hours, and I haven’t been so enthusiastic about “White Trash Wedding” since I did an impromptu mime to it after a pie party back in Abilene. I have now been asked to make a disc full of Dixie Chicks for all of them. Oh, and I’m to tack on Lady Gaga’s “Bad Romance” at the end. Me: Hey, whoa, where are you going? We have to clean the table. Me: The girls brought out breakfast. The boys are going to wash the dishes. Boy 2: But what about you? Me: I’m a boy. I’m going to wash the dishes, also. Boy 2: But we don’t wash dishes. Me: Come on, let’s clear the table already. Me: Oh, no, no, no. You are rinsing, and you are drying. Boy 1: Brent, listen. In Armenia, boys work outside. The work is difficult, so girls do work inside. Me: Well, in America, men and women both work outside. And they both work inside. Men and women share work [Keeps own feminist thoughts about American sexual politics out of conversation]. Boy 2: But we’re in Armenia. Me: That’s true, but the good news is, this week you have no work to do outside so you can work inside! Boy 2: [Whining] But this is our holiday. So there’s that. There were a few more tense moments. I realized I would have made a terrible youth worker because by the end of the week I wanted to strangle them all. But I will tell you that watching those kids line dance, I had one of those I’m-Living-My-Dream moments. When I was 15, I walked across a ravine with a new friend I’d made in that tiny Mexican village. We were walking at dusk to join a game of volleyball with other Mexican and American kids. I thought right then that I wanted to do This for the rest of my life. 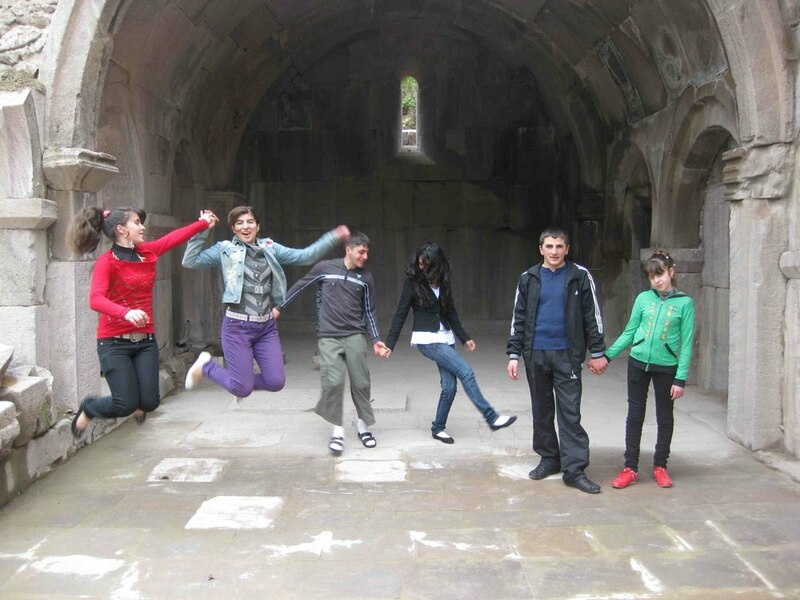 I had that feeling again dancing with these Armenian kids. I don’t remember the topic of conversation or what I said, but in reaction to some joke I made, Boy 2 said an Armenian version of, “Oh, that’s our Brent.” He had no idea how much that actually meant to me. dude! aren’t the snails insane!?!? i have seen some that are about the size of a pair of small scissors-and i’m not exaggerating! how do they get so big over here? and the whole thing about women’s and men’s work gets to me just about everyday. i once joked that it was my landlord’s turn to wash the dishes and his wife corrected me by saying that young ladies do not talk like that! bah! I cannot stop laughing at your bracketed inner monologues. I’m just waiting for the day you get Freshly Pressed. It will be glorious, friend. Brent, you are a treasure! Just please don’t bring that snail home with you. Our home grown ones are big enough. It’s a beautiful day today, but are supposed to have more rain. I am developing web feet. Quack, quack!! Kids are fun and more fun, aren’t they. I’m glad that you had a good week. Well, Your grandmom moved up a step. Sharon and I are now in charge of the Angel Food program. Wheeeee!! So many people need help and it’s hard to reach them, but we just keep chiseling away and smiling. God is good!! Grandmom, YOU are a treasure. We’re getting webbed feet around here to. And everytime you mention your Angel Food program I have a mixture of pride and craving for cake. I love you! Enter your email and click 'Follow' to read updates!